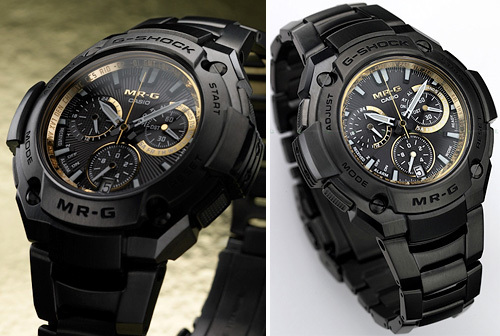 Casio Celebrates 25 Years Of The G-Shock With The Limited Edition MRG-8000G | OhGizmo! By Andrew Liszewski on 02/08/08 • Leave a comment! However the MRG-8000G will probably only end up in the hands of collectors and Casio employees since only 200 are being made with a price tag of 525,000 YEN, or about $4,900 US dollars.